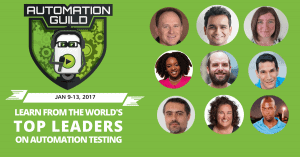 In this article I’d like to share some excerpts from Melissa Tondi’s Automation Guild session “Test Automation in Agile a Successful Implementation” on successful implementation of automation, specifically in an Agile world. This content is a case study of sorts that Melissa told me has been three or four years in the making, as she’s worked in various companies, both large and small including startups, existing companies and legacy companies. There’s always been this barrier, or obstacle, to what success, specifically around test automation, actually looks like. With increased delivery and collaboration on Agile teams, Melissa felt that after getting that information together, it could be a really good case study. The information contained in Melissa’s Automation Guild session has been years in the making. She shares what she thinks test automation on QA teams or software development and release teams in an Agile world looks like from a success standpoint. The reason we came up with this quote a couple of years ago is that there had always been this misconception of what the outcome, or goal, of test automation was. We’ll talk a little bit about what the silver bullet areas are, or the shiny object, where the executive tends to make a decision that generally impacts the entire testing organization, without necessarily having that day-to-day or practical advice and information that would actually inhibit successful implementation. The intention of this quote is really to make sure that the good overall quality engineering strategy takes advantage of tools and technology that are available to us. What is the Successful Outcome of Test Automation in Agile? This quote succinctly says what the successful outcome of test automation in agile is. If you are in the camp where you are worried or somewhat threatened [by the fact] that a good test automation strategy may replace you as a human, I’m here to tell you that good testers cannot be automated; this is really just another tool in your toolbox, and really focusing on making your testing activities, and your overall testing strategy much more efficient, so you can spend more time on areas that you normally may not have been able to. We always want to level set, and the introduction of tools and technologies should always be freeing you up so that you, as the human, can test that software to the best of your ability. Just to level set — and you’ll hear me use that term throughout this — when I say “test automation,” or “automation,” we’ll just assume that it’s the overall approach and strategy of using tools to augment the execution of test cases, scripts and scenarios. There is a whole other talk — an umbrella — of automation in general, which [refers to] the automation of specific tasks, repetitive tasks. But for this content, I really just want to concentrate on the test automation piece of the overall automation umbrella. 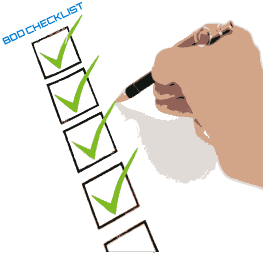 It’s also important to know that automation and the implementation of automation is really a checker – it doesn’t replace the testing strategy. It’s one activity, and again, if we’re using it correctly, we understand the outcome and goal of successful test automation is really to free us up to spend more time on areas that we otherwise didn’t have time to spend on. I just want to make sure we’re all on the same page when we’re talking about automation. In addition to defining automation, it’s sometimes important to talk about what automation is not. It’s not a replacement of humans. Again, I go back to that silver bullet, or those cases where an executive may make a decision that ultimately affects the role of the testers. It should never be seen as a replacement. In some cases — and hopefully most cases — repetitive tasks will be replaced by this, but it is not a one-to-one correlation. If we have a successful test automation strategy in place, then that means there is a reduction in workforce. If you find yourself having that discussion where you, again, feel threatened by that, rest assured it is not a replacement of that. It’s not a silver bullet. In addition, it’s not a silver bullet. It’s not going to immediately increase productivity; in some cases, it may actually decrease productivity, as we assess and figure out where that test automation makes sense to be put into your organization. We’ll talk a little bit about timelines, and what I’ve seen in my experience. If we approach a good test automation strategy correctly, it will eventually support increased releases, greater test coverage, and overall quality of the product – again, because we’re freeing up some of those repetitive tasks so that the testers can spend time in those areas. Want to hear more? Check out Melissa’s full Test Automation in Agile a Successful Implementation session during the Automation Guild Online Conference January 9th-13th. Register now for this must-see session as well as 25 other sessions revealing all kinds of ways to help you create automation awesomeness in the New Year. Nice blogs on test automation, can you share more on mobile test autoamtion as well.